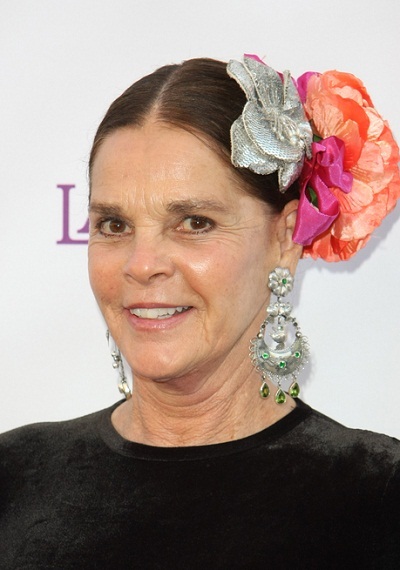 Place of Birth: Pound Ridge, New York, U.S.
Ali MacGraw is an American actress, model, author, and animal rights activist. She is known for starring in the films Goodbye, Columbus (1969), Love Story (1970), and The Getaway (1972). Ali’s father, Richard MacGraw, was born in New Jersey, and had Scottish ancestry. Ali’s mother, Frances Moskoczi (Klein), was born in Massachusetts, to Hungarian Jewish parents. Ali was not raised knowing about her Jewish background. Ali has a son, actor, director, and filmmaker Josh Evans, with her former husband, film producer and studio executive George Evans. Ali’s paternal grandparents were Augustus Prval MacGraw and Elizabeth Everett. Ali’s maternal grandfather was Maurice Klein (the son of Aaron Klein and Fanny). Maurice was a Hungarian Jewish emigrant, from Szepsi. Ali’s maternal grandmother was Pauline Donner (the daughter of Moritz/Morice/Morris Donner and Mathilde/Matilda Mettelman/Mittleman/Mattelman/Mistal). Pauline was a Hungarian Jewish emigrant, from Krusitnvoz. Mathilde was the daughter of Isidor Mattelman and Julia Meisler. And these her paternal grandparents? Interesting mix. Didn’t expect these two ethnicities. Many white Australian women with recent Aboriginal ancestry look like that. I think she looks American Indian. American Indian faces age much faster than any other ethnicity. That’s why there are so many people of American Indian descent that look much older than they really are.